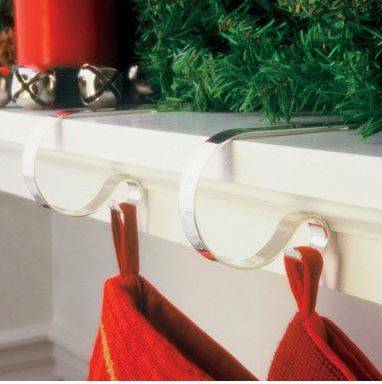 This simple pewter finish stocking holder is the perfect way to display even your heavier stockings without distracting from the rest of your mantle holiday decorating. Designed to naturally adjust to mantles measuring between 1" and 3" thick, each MantleClip has gripping plastic to hold it in place, while also protecting the surface of your mantle. 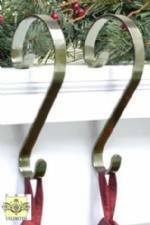 Individual hangers measure 4.5" deep by 2.5" high and 1/2" wide. So lightweight, you won't believe that they can hold even the stockings that Santa has filled to the brim (up to 10 pounds!)! Comes in a set of 4.